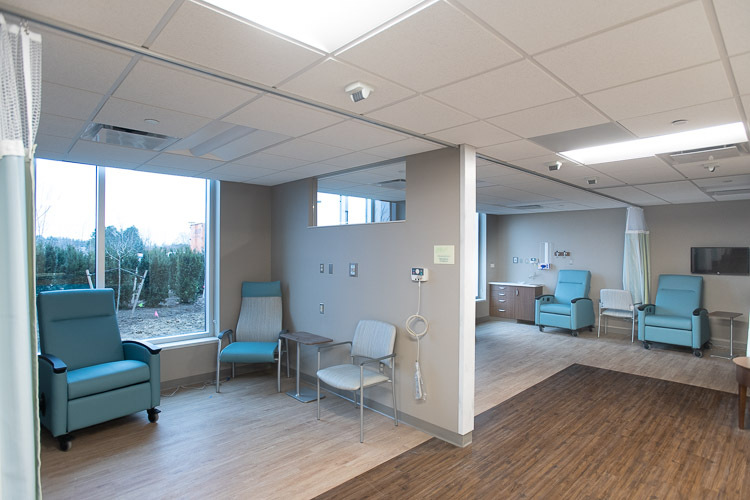 As demand for oncology services continues rising, Granger joins Ann Arbor area residents in celebrating completion of St. Joseph Mercy Health System’s Cancer Center addition and renovation project. 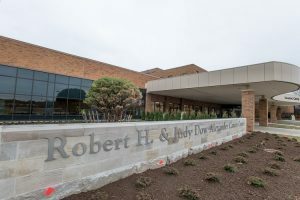 Opening in 1993 as the Robert H. and Judy Dow Cancer Center, St. Joseph Cancer Center started with a staff of eight medical and radiation oncology specialists and three researchers. 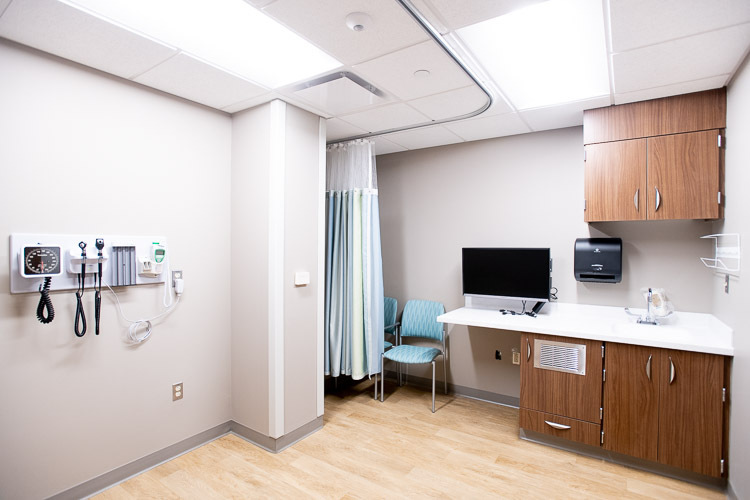 Today, this number has more than quadrupled, and the facility now accommodates over 40,000 patient visits per year (according to Rob Cassalou, president and CEO of Ann Arbor-based St. Joseph Mercy Health System). To help meet this growing need, St. Joseph Mercy officials partnered with Granger Construction in August of 2017 to begin new construction and renovation work on the facility. 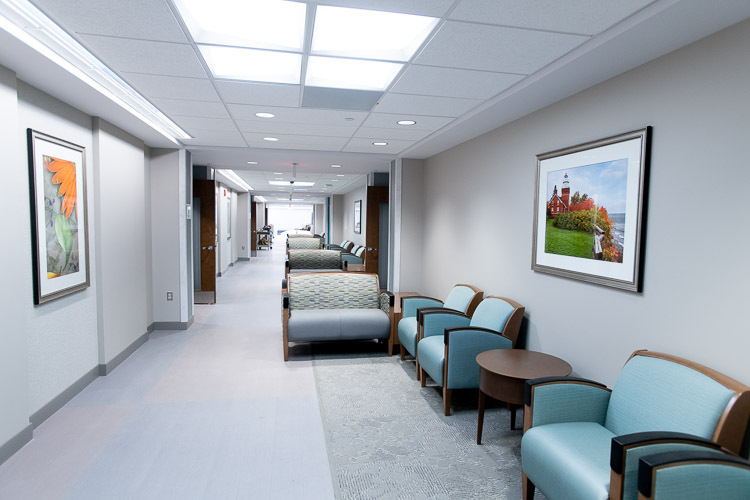 The project also included work on St. Joe’s National Cancer Institute Oncology Research Center, with space for 34 clinical research staff and a conference center equipped with video conference capabilities. To celebrate completion of the new space, St. Joseph Mercy Officials hosted a Grand Opening on Thursday, November 29, 2018. This celebration included a dedication and blessing, followed by a community open house. 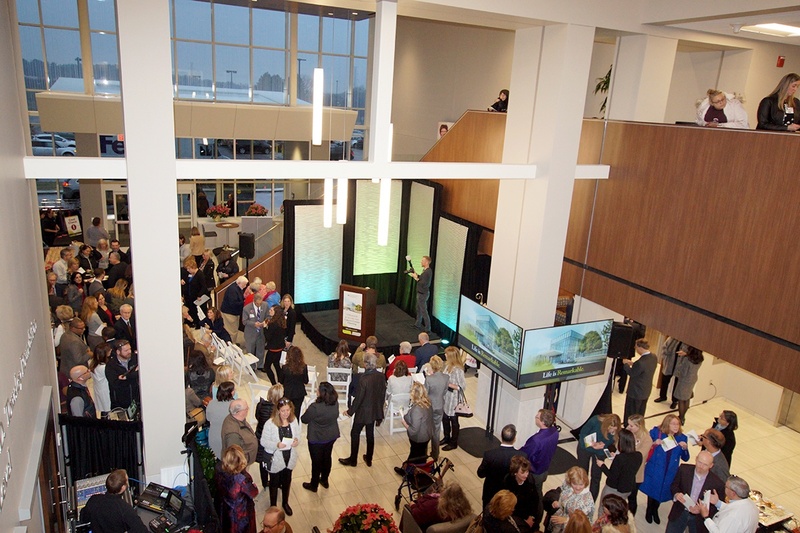 During the event, attendees received a first-hand look at various new and renovated areas, including a specially designed Infusion Center, tailored toward providing a better patient experience. Attendees also had the opportunity to learn about the 100+ clinical trials currently available at the Cancer Center. To learn about Granger’s other Cancer Center and Healthcare construction work, visit our Healthcare market page, or contact us today.